The Cleveland Cavaliers are reeling after yet another loss, and the news and rumors are ramping up. 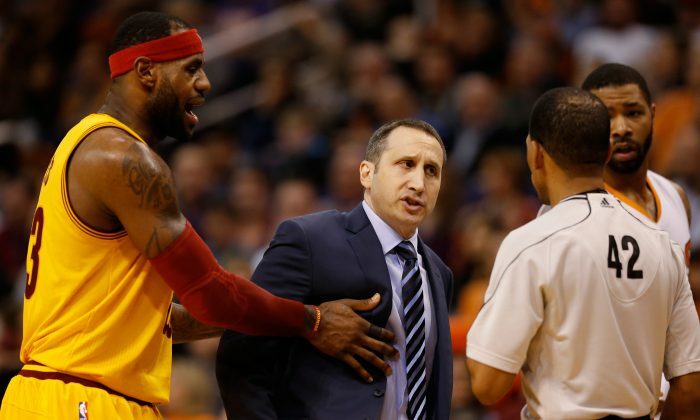 The biggest moment to many in the Cavs latest loss was when LeBron James shoved his coach David Blatt, although both tried to downplay the incident after the game. “I got called for an offensive foul, and they said I hooked one of the Morris twins on a post-up when he grabbed me,” James told reporters after the game, reported ESPN. “Look, it’s a physical game, and no disrespect to the officials, but I just thought my guy was taking a lot of hard hits and I didn’t like it and I was expressing my opinion, and LeBron stepped in to I guess protect me in that situation, which is more than fine,” Blatt elaborated. Kevin Love emphasized that he doesn’t plan on opting out of his contract after this season. 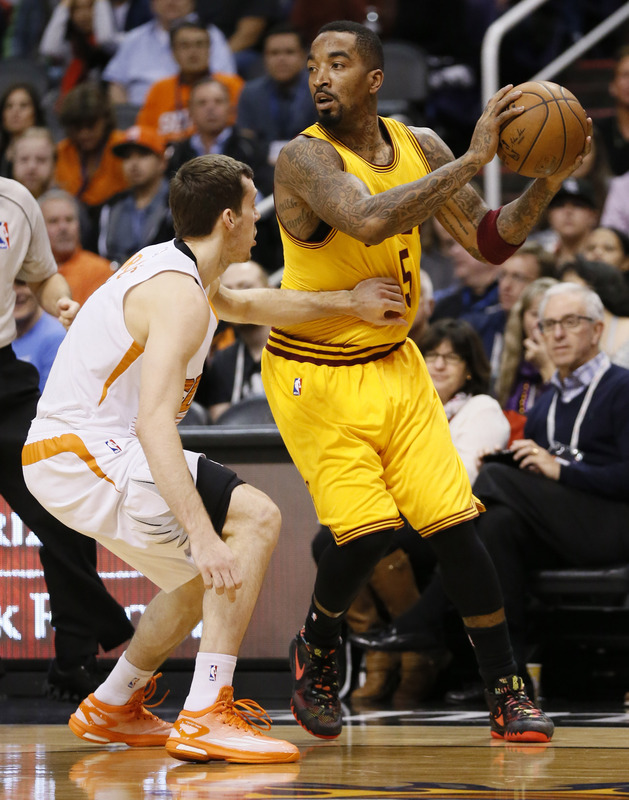 Love was traded to the Cavs with just one season left on his deal, and could become an unrestricted free agent. “I think that we will figure it out here, so I don’t plan on opting out or any of that,” Love told Northeast Ohio Media Group. Love has a $16.7 million player option for next season. He could opt in and sign a new contract after that season. However, some around the league still feel Love will test free agency, particularly considering he hasn’t fit well with the Cavs so far. Love said he’s been studying film to see how he could be more effective, and that he needs to call for the ball some times. ESPN’s Brian Windhorst says that the Cavaliers appear to be ignoring some of the plays being called. “It isn’t just the casinos that are agape at how this is playing out — the Cavs were 4-15 in their past 19 games against the spread coming in to Tuesday — so are league scouts, executives and rival players,” he wrote in a commentary. Windhorst said that for weeks, small talk among league personnel has often started with wondering what’s going on in Cleveland. The Cavs are likely set with the current roster for the rest of the season, bringing up the question of rotations after everyone gets healthy. Timofey Mozgov, Kevin Love, LeBron James, and Kyrie Irving are locks in the starting lineup, and Tristan Thompson is the first big off the bench, but the rest of the rotation is still up in the air. Will Iman Shumpert start when he returns from injury, or come off the bench as J.R. Smith keeps his starting role? Who among Shawn Marion, Mike Miller, James Jones, Joe Harris, and Matthew Dellavedova gets minutes? Bleacher Report made some predictions this week, predicting that Marion, at 6’7″, will come off the bench as an undersized power forward for about 15 minutes a game. Miller or Jones will come in for James at small forward for about 10 minutes a game. Shumpert will start when he gets healthy but only play about 25 minutes a game, with Smith coming off the bench for 15 to 25 minutes a game, and Harris likely getting few if any minutes. Dellavedova will play backup point guard for about 10 minutes a game.